Discussion in 'Nintendo' started by Wickett, Jun 11, 2014. Sony and MS both came out swinging with a lot of new games, which was truly a refreshing thing to see. Nintendo then brought up the rear doing the same thing. As we suspected, Smash Bros was the focus, seeing as both versions are coming out later this year. Some gameplay was shown as well as few new additions to the game. Miis are now playable characters. Yes that's right, Miis. On top of using your own Miis, a daily Mii will be downloadable from the Nintendo Network whenever Smash Bros is loaded up. Much like how the daily stage worked in Brawl. 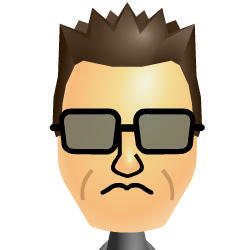 These Miis are user submitted, so watch out, you might eventually battle an Arnold Schwarzenegger Mii. Later, it was announced that Palutena, goddess from Kid Icarus, would be joining the fray. And I must say, the way in which they introduced her was the best part. Enjoy fellow anime fans. Then switching gears slightly, Nintendo moved to their next segment. A feature known as "Amiibo", which is the use of game character figurines that can be placed on the GamePad to insert a Smash Bros character into the game. The figurine has a chip in the base that not only sends information to the GamePad, but also is sent information. This allows your Amiibo character to grow and gain experience the more it is used. This opens up many opportunities for other games as well. The other that was mentioned aside from Smash Bros, was Mario Kart 8. Though the "how" has not yet been explained. Nintendo then moved on with several other great games. Captain Toad: Treasure Tracker, Yoshi's Wooly World, Mario Party 10, Xenoblade Chronicles (the unnamed X title we heard about last year), Hyrule Warriors, and more Bayonetta 2. Aonuma sat down and discussed some of the new concepts pushing the newest Zelda coming to Wii U, plus a quick teaser trailer that left us wanting more. So much more that there are already thousands of theories and guesses as to what's going on. After careful review of the teaser, many people began questioning whether or not it was actually Link in the video. Aonuma was later questioned about the character's identity, and if it was in fact Link. The response? So it looks like fans will have to wait awhile to see what's really going on here. Regardless, the game looks beautiful, and it's certainly worth the wait. A sudden throwback occurred, taking us all the way back in time to the original Mario game on the NES. Mario Maker for Wii U. It's crazy to think that we've come this far. Now we can go back and make our own experience. Kids, we're ditching the graphics for a sec, and seeing what your old daddy used to play. 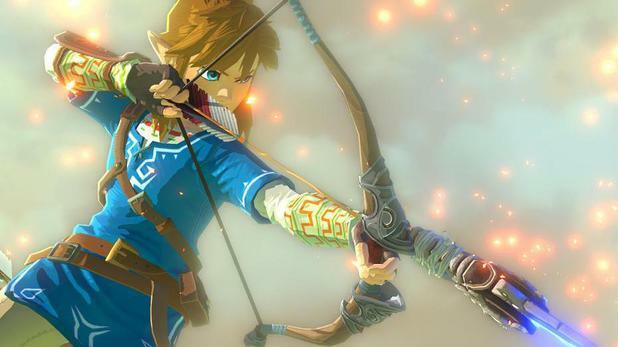 Nintendo wrapped things up with another new game coming to Wii U. One that, after a second look, became more interesting and seemingly fun by the second. Splatoon. A game where you are a cartoonish human/squid with a hyperactive paint gun firing your team's color paint everywhere. The objective? Eh I'm tired of typing. I'll let the creators explain it. They do a better job than I do anyway. And that was it, or so we thought. Miyamoto was then showed in a back room getting paid to do what we all pay to do, playing the Wii U. The screen was blurred however, and little could be seen, but the Arwing is not an easily mistake craft to the Star Fox fan, and so people began to cheer. It was later confirmed that Star Fox would be coming to Wii U, though we know nothing about it yet, other than that the GamePad screen will be used to show the inside of the cockpit. It was an extremely enjoyable E3 all the way around. One that left fans across all platforms excited to play games. Nintendo proved to us that despite a slower selling console, there's still a lot of reason to own a Wii U. And those reasons expand by the day. We'll keep our eyes out for more news and share with you as we go along through the year, and remember, Play Nintendo.